Formed in Sydney in 1970 out of The Dave Miller Set, this was one of Australia's top early seventies acts. They played a sort of rock boogie with pulsating piano and were extremely popular live and their discs, especially Boppin' The Blues, which was a No. 1 hit, sold well. 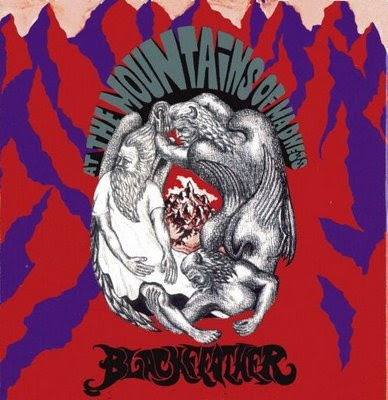 Having signed to Festival in 1970, the label promptly encouraged them to record their debut album Mountains Of Madness on which the magnum opus was Seasons Of Change, which John had actually written for Fraternity. Festival decided to release it as a 45 and it was a Top Twenty hit in 1971. Also of note on the album were the heavy psycher On This Day That I Die, the Spanish-tinged Mango's Theme, the thunderous Long Legged Lovely, notable for some superb guitar work from Robinson and the complex The Rat (Suite). Their progress was hampered by numerous line-up changes, eventually splintering into two camps. The first line-up change came in March 1971 when Al Kash was replaced by Terry Gascoigne. Steve Webb then replaced Gascoigne while Harry Brus replaced Bob Fortesque on bass. Later in August 1971, Neale Johns was sacked and John Robinson, Harry Brus and Steve Webb continued on as Blackfeather. However, it transpired that the legal rights to the band's name rested with Peter Conyngham of Nova Agencies, who formed a new official Blackfeather with Neale Johns at the helm (line-up 'D'). The other group disbanded shortly after. In December 1971, Zack left and Billy Taylor came in on guitar a little later. Then Jim Penson left and was replaced by Trevor Young, who in turn gave way to Greg Sheehan. Interestingly, their No. 1 hit Boppin' The Blues was penned by the band - it wasn't the Carl Perkins number. In January 1973, they released a revival of Little Richard's Slippin' And Slidin' and around the same time, piano player Paul Wylde, who'd given the band such a distinctive sound, left to be replaced by guitarist Lindsay Wells. This inevitably led to a change of direction in their sound. In March 1973 Greg Sheehan and Warren Ward left and the band fell apart. A new Blackfeather was briefly formed with Paul Wylde, but soon disintegrated. For most of 1976 a new Blackfeather was formed, featuring only Neale Johns from the original line-up. It only survived until November 1976 when Johns headed for the U.K. to join Fingerprint. They later became known as Feather in the late seventies and then Feathers, but neither achieved anything like the success of Blackfeather. Their best known song Boppin' The Blues later turned up on four compilations; 20 Golden Greats Of The 70s, 20 Years Of Australian Rock, ZWL Classic Oz Rock and Trax Australian Made II; Get It On re-emerged on 15 Australian Superstars and Star Tracks; Find Somebody To Love figured on 12 X 12; I'm Gonna Love You featured on Sunbury 1973; On This Day That I Die got a further airing on Group Therapy and Still Alive And Well can also be heard on Boogie Balls And Blues, Vol. 1. The budget-priced Blackfeather Live! (Sunbury) was recorded during 1973 but not released until 1974 by which time the band had split. A raw recording, it is notable for some good dual guitar work courtesy of Tim Piper (ex-Blerta) and Lindsay Wells. Highlights of the first side of the album include some sparkling dual guitar work from Piper and Wells on I'm Gonna Love You, a raucous work-out on Get It On (both of these were group compositions) and a bone-crunching cover of Rick Derringer's Still Alive And Well. The second side is less impressive but included versions of some of their better-known songs like Slippin' And Slidin' and Boppin' The Blues. This was the band's rarest release.